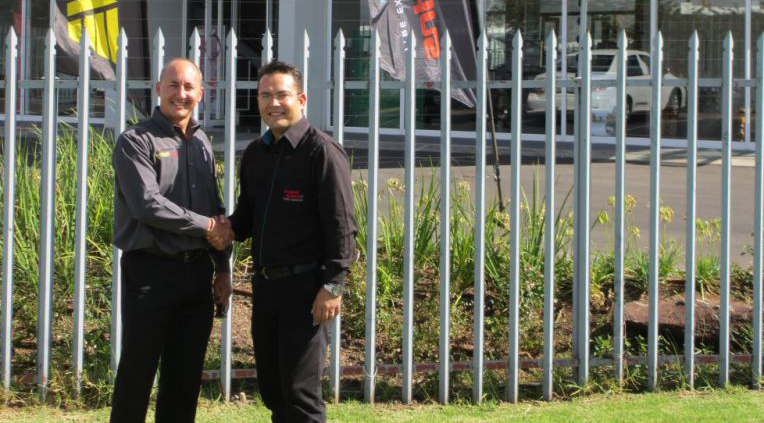 Andrew Antonis, country manager, Aftermarket Southern Africa and Martin Kieser supplier development manager from Bridgestone SA Retail. Happy to have a new product offering in the stable. Tenneco South Africa, which manufactures Monroe and Rancho-branded shock absorbers in South Africa, has entered into an agreement with Bridgestone South Africa Retail in which Monroe is the exclusive shock supplier to Bridgestone’s 240 Supa Quick stores nationwide. The agreement, classifying Monroe as a tier one supplier to Bridgestone South Africa Retail, is for a five year period during which Monroe signage and point of sale material will be prominently featured in Supa Quick stores. 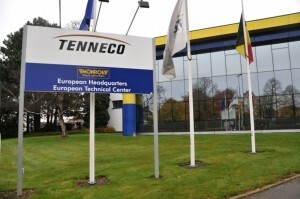 The agreement follows a successful 2014 for Tenneco in which its Monroe and Rancho brands continued to grow their share of the shock absorber market. Being part of a global manufacturing company with research centres around the world gives Tenneco South Africa access to some of the most advanced suspension technologies available to the world’s vehicle manufacturers today. Monroe is also one of the largest and most respected aftermarket shock absorber brands in the world. South Africa benefits from the experience of the Monroe Engineering and Technology Centre (METC) in St Truiden, Belgium, one of Tenneco’s global R&D and advanced engineering hubs serving both the world’s car manufacturers and the aftermarket. South Africa benefits from the experience of the Monroe Engineering and Technology Centre (METC) in St Truiden, Belgium, one of Tenneco’s global R&D and advanced engineering hubs serving both the world’s car manufacturers and the aftermarket. Tenneco’s fully integrated, electronically linked global engineering and manufacturing facilities use advanced engineering and test capabilities to provide product reliability, endurance and performance. These full-service engineering and development centres span five continents and allow Monroe to bring new products and the latest technologies to market quickly. 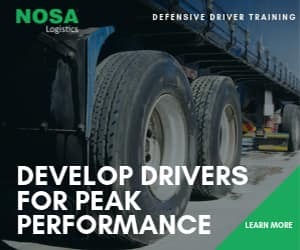 “Our wide range of suspension products includes shock absorbers for passenger and commercial vehicles and off-road as well as Protection kits, Mounting kits, Steering dampers, MaxLift and Monroe Springs. We have shock applications covering one of the widest range of vehicles in the Republic of South Africa (RSA) aided by the fact that Monroe is the only approved local shock absorber suppliers to the new car manufactures in RSA,” Lutz added. 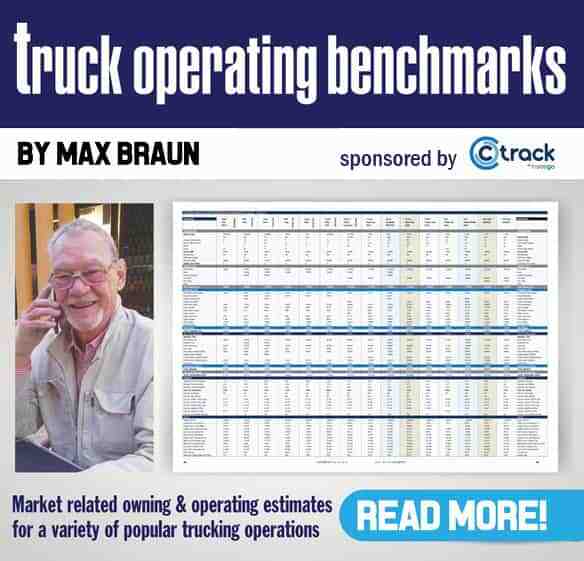 “We also believe we have amongst the lowest claim rates in RSA and back our products with some of the longest warranties in the trade,” Lutz said. Monroe Reflex offers a five year 100 000km warranty, while Monroe Original, Gas-Magnum, Adventure and Rancho have a three-year unlimited mileage warranty. The technology doesn’t end with the design and manufacture of products. Tenneco also introduced TADIS in 2014 – a comprehensive, state-of-the-art digital information system that offers fast, easy access to the latest diagnostic, technical videos, repair and product information related to vehicle ride control and emissions control systems. Access is available free of charge to any vehicle workshop professional, replacement parts sales representative, technical school instructor, student, journalist or consumer. A superior training programme such as TADIS can result in better qualified field sales and support staff.